Calgary (CP) What some are billing the Trial of the Century because of the infamy of the accused and the scale of the crimes has gotten underway in this western Canadian city. The trial has drawn attention across the world, and focuses on a set of ten local murders in 2016. 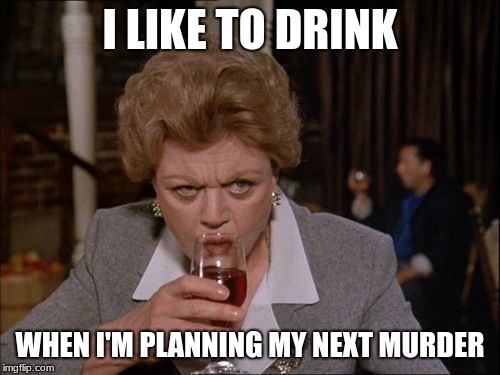 These murders, however, seem to be the tip of the iceberg, as the accused has been implicated in thousands of murders all over the planet for years on end. One of the questions on many minds is will she be held accountable in all of those cases, or will Canadian justice alone be sufficient to put her behind bars for the remainder of her days. 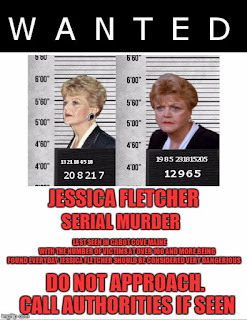 The accused is the famous mystery novelist Jessica Fletcher, who made a fortune for decades writing mystery novels while frequently assisting local law enforcement agencies in investigating murder cases. 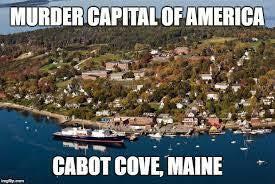 Some of those cases were in her home town of Cabot Cove, Maine, which for many years was the murder capital of the world, per capita in terms of population, with an average of twelve murders a year for a small town. Others were in places where she was visiting as a renowned author. And authorities have alleged that in fact, she was committing those murders and framing others for them. A key item of evidence in the present case is a diary the author kept detailing her crimes for decades, discovered in her possession. It was the world’s greatest and grouchiest lawman who finally brought her to account. 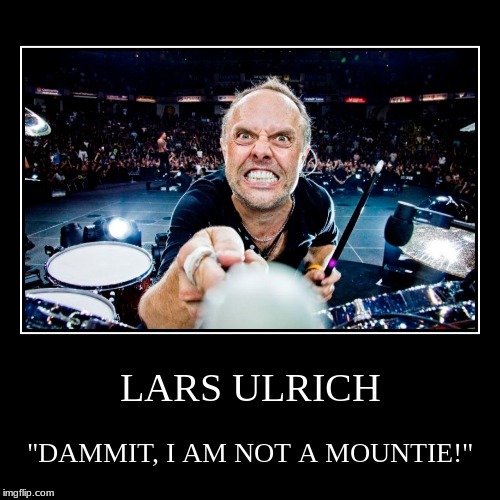 The legendary Inspector Lars Ulrich of the Royal Canadian Mounted Police arrested Fletcher at a writer’s meet and greet in May 2016. Ulrich had been investigating the case on behalf of the Calgary Police Service and had met Fletcher, who had offered her services in looking into the matter. Sources confirmed at the time that the two rubbed each other the wrong way at that first meeting- Fletcher had mistaken him for the other Lars Ulrich, perhaps a deliberate way to irritate him, while Ulrich had told her to stay out of his way and to "drop dead already", according to sources. Perhaps it was that first meeting that fixated Fletcher on Ulrich. Perhaps it was the humiliation of subsequently being arrested by him in front of her fans. For whatever reason, during legal proceedings leading up to the trial, whenever the two have been in the same room, Fletcher has ended up screaming at Ulrich, making death threats, obsessed with having his head on a pike and ending him, according to witnesses at such hearings. Initially being represented by an attorney from her hometown, Fletcher has since taken on a different attorney, a local star lawyer with the name of a different star. Joni Mitchell is sometimes mistaken for the folk singer by dimwitted entertainment reporters, despite being a good deal younger and really not looking anything like her. It’s an issue she shares with the aforementioned Inspector Ulrich, who is often mistaken for the Metallica drummer. Mitchell has been busy defending her client in pre-trial hearings and punching entertainment reporters who have mistaken her for the other Joni Mitchell. 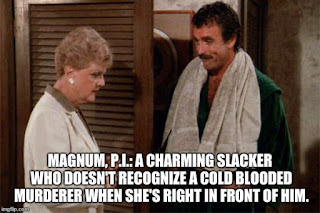 Like Ulrich, she too is something of a grouch. Unlike Ulrich, she hasn’t saved the world on multiple occasions. Why she is defending Fletcher is another matter, as those who know her say she’s not the sort of stereotypical ambulance chasing lawyer seeking fame or looking to her reputation. Inside and outside the court, supporters of the accused have been present. 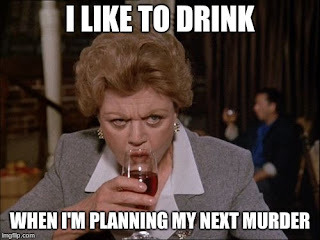 Alison Murphy, president of the Jessica Fletcher Fan Club, led a crowd of Fletcherites in chanting outside the provincial courthouse in the heart of Calgary yesterday. “What do we want?” she called out to the rest. “Jessica released and a big apology!” they yelled back in unison. “When do we want it?” Murphy prompted. “Now!” the crowd insisted, again in unison. The judge instructed Mitchell to keep her client under control, and for the jury to disregard the defendant’s remarks. The expressions on their faces said it all- how does one disregard hearing such things? Ulrich simply left court, while Fletcher received a terse warning from her attorney about behaving herself. The incident, a common sight to those who were covering pre-trial hearings- is surely not the last to happen before this is all said and done. Without a word, Ulrich lunged forward and threw a punch, hitting Davidson in the face. Davidson went flying, hitting the floor of the courthouse and seeming to finally realize he was in trouble. 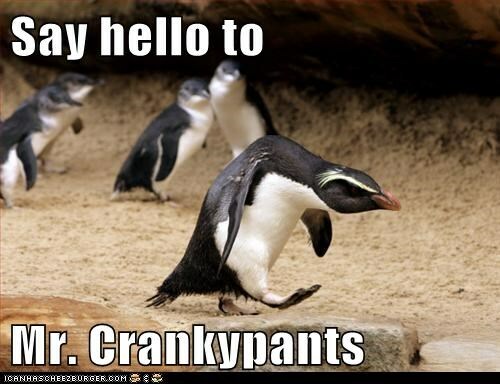 He scampered up to his feet and ran out the door screaming, the Inspector at his heels. Davidson turned up in a local hospital in a body cast, whimpering about being beaten up by a heavy metal drummer. As he is an entertainment reporter (or will be again after he recovers for about six months), no one cared. As for the Inspector, two final observations. 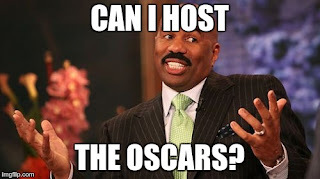 It’s fair to say that later in the month, he will not be watching the Academy Awards. And it’s a bit of a shock, when you grow up with the stereotype of Mounties as polite and nice and all, to hear one swear like a sailor. Oh, No! Not Jessica Fletcher! 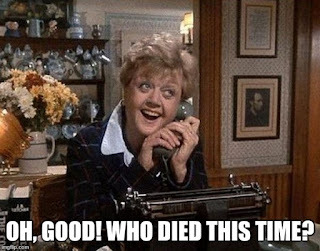 Well, you never know. 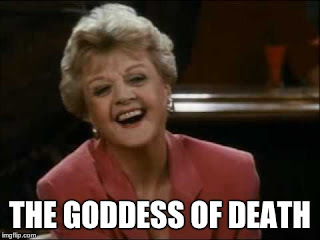 I think it would be impossible for me to watch that show again without thinking, 'Jessica Fletcher, serial killer'. 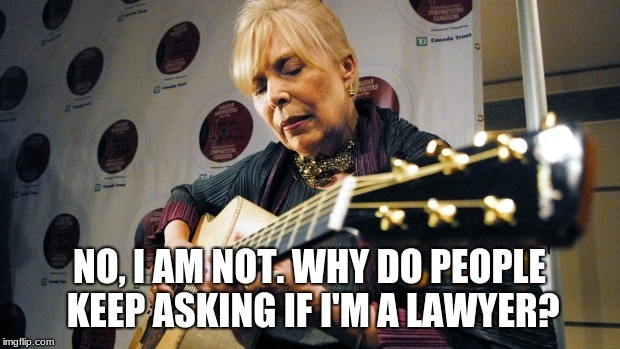 Joni Mitchell? 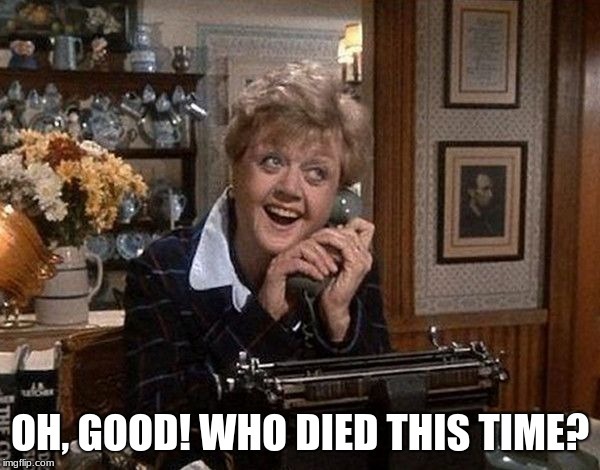 What--or who--is next? 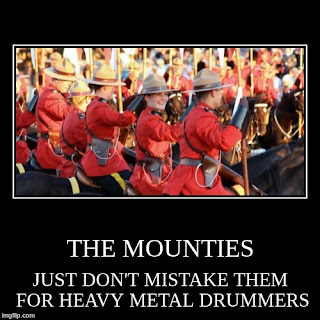 So...the Other Lars is being mistaken for a Mountie? 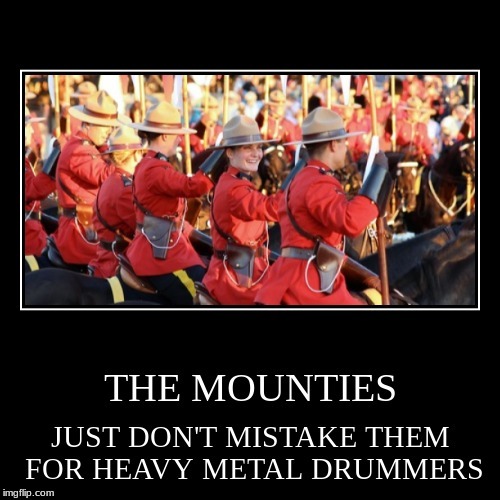 The other Lars is probably too deaf to hear the questions about whether or not he's a Mountie!